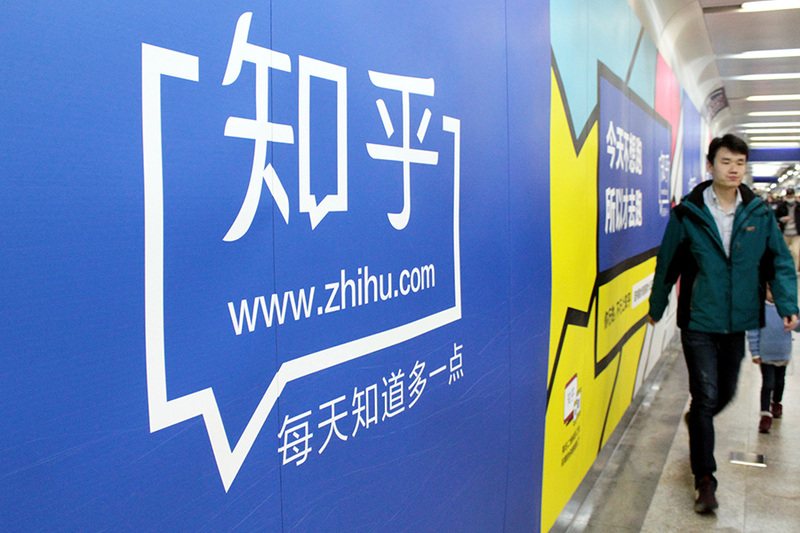 Chinese popular question-and-answer website Zhihu announced it has completed a US$270 million E-round financing, the biggest in the company's history, The Paper reported. Zhihu didn't disclose the investors list or the valuation. But some sources said this round of financing could value the company at almost US$2.5 billion. The purpose behind fundraising was not just to raise funds, but also to find partners, said Zhou Yuan, founder and CEO of Zhihu. Zhou set up the Quora-like Q&A website in 2010. In classical Chinese language, the name translates as "Do you know?" In January last year, Zhihu raised $100 million in a D-round financing, which gave it a "unicorn valuation" of more than US$1 billion. The investors included Tencent Industry Win-Win Fund, Capital Today, Sinovation Ventures and Qiming Venture Partners. Since 2017, the company has established two important departments: commercial advertisement and knowledge service, which are also Zhihu's two income modes. During the first half of this year, revenues from commercial advertisement jumped by 340 percent from a year ago. By the end of June, the number of Zhihu's registration users reached 180 million, more than double that from the year-ago period. Zhihu has accumulated more than 110 million answers. Zhihu said that after this round of financing, the company will speed up the construction of knowledge platform, invest more in artificial intelligence, content ecosytem, knowledge service and commercialization. The company also plans to set up an intelligent algorithm team. Chinese popular question-and-answer website Zhihu announced it has completed a US$270 million E-round financing, the biggest in the company's history.